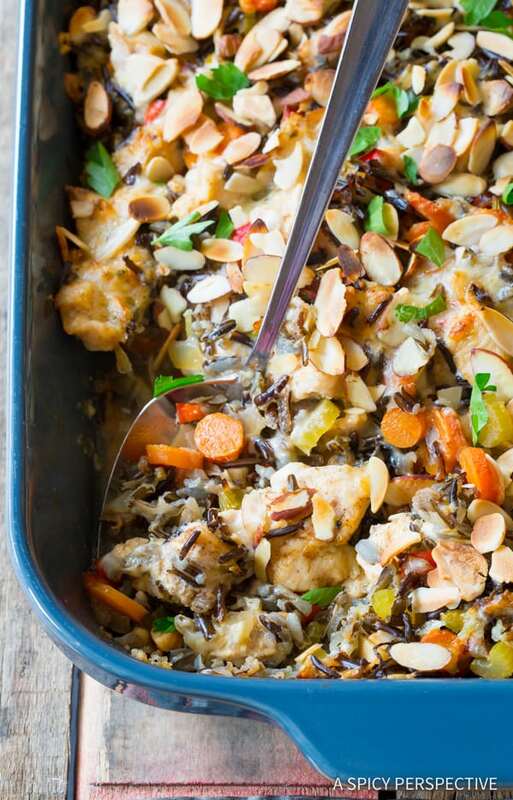 Cheesy Chicken Wild Rice Casserole, a hearty family favorite with tons of texture. 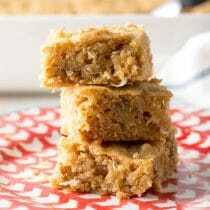 There are certain foods we eat that have strong memories associated with them. Cookies or pie might inspire the warm recollection of a doting grandmother. Sizzling roast beef might remind you of a special holiday meal with family. Happy memories. 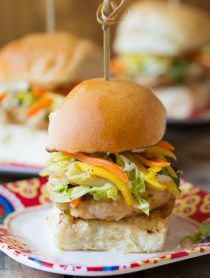 Sometimes our edible-flashbacks are less than favorable… Like a memory of the childhood you, sitting at the kitchen table long after dinner until you finally submit to taking two bites of a loathed, and now cold, vegetable. For me, there are many foods that conjure up happy remembrances and rich smiles. Almost too many to mention. Yet there are certain foods I often resist, because they symbolize painful times. Hot dogs. Canned tunafish. Casseroles. These are foods, that no matter how good they taste, reminds me of times when my parents went through financial hardships, and the grocery budget was severally cut. We always had plenty to eat, mind you. My parents made sure of that. Yet variety was limited and hotdogs were always present. Because of this, it’s a rare moment when I’m willing to eat a hotdog. Casseroles are something I’ve resisted for over two decades. In fact, I’ve just recently invited them back into my life. I know there are many wonderful casserole recipes, yet until now, the general negative association was just too great. Thankfully, over the last couple years I’ve ever-so-slowly softened to the idea of casseroles. 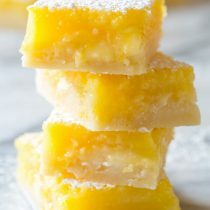 First I would only call them “bakes” even though I knew I was fooling myself. Yet now I can stomach the word casserole and enjoy them in all their comforting glory. 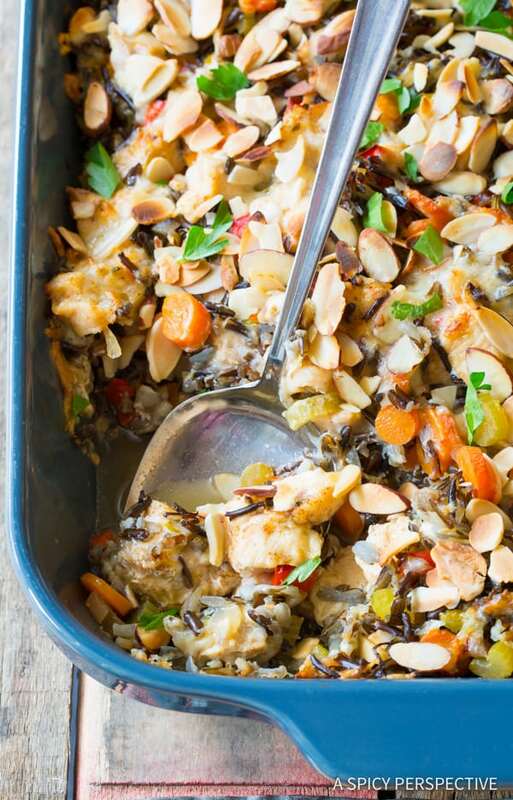 This is such a fabulous casserole recipe because it includes all sorts of healthy ingredients like, chicken breast, wild rice, and loads of veggies. Yet, it’s bathed in a rich cheesy sauce that coats all the healthy stuff. Comforting and indulgent, without all the guilt. 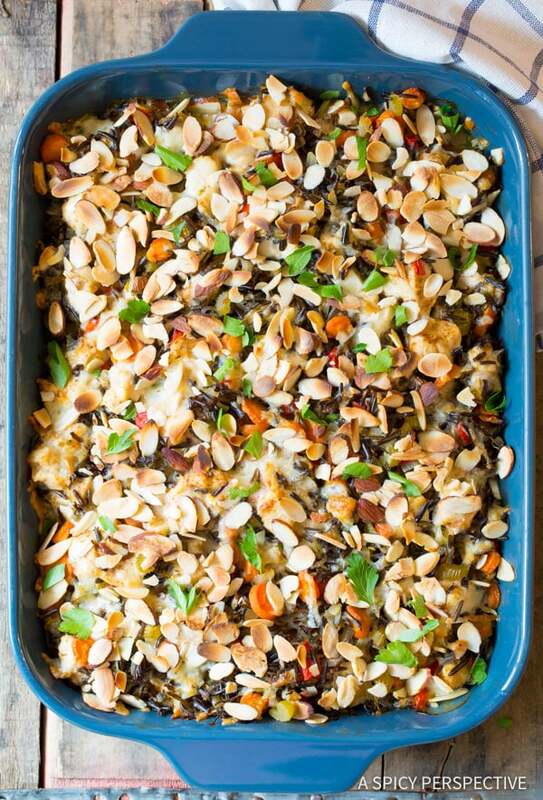 The key to making this Cheesy Chicken Wild Rice Casserole is to cover and bake the rice and veggies together until the rice is mostly cooked. Then mix in uncooked chicken and two cheeses at the end. Pop the casserole back in the oven just long enough to cook the chicken. That way, the chicken doesn’t get tough, and the cheeses melt, creating a creamy molten sauce that gives all the other ingredients cozy appeal. Notice, I’ve added sliced almonds to the top of the casserole, instead of breadcrumbs, so it’s completely gluten free. 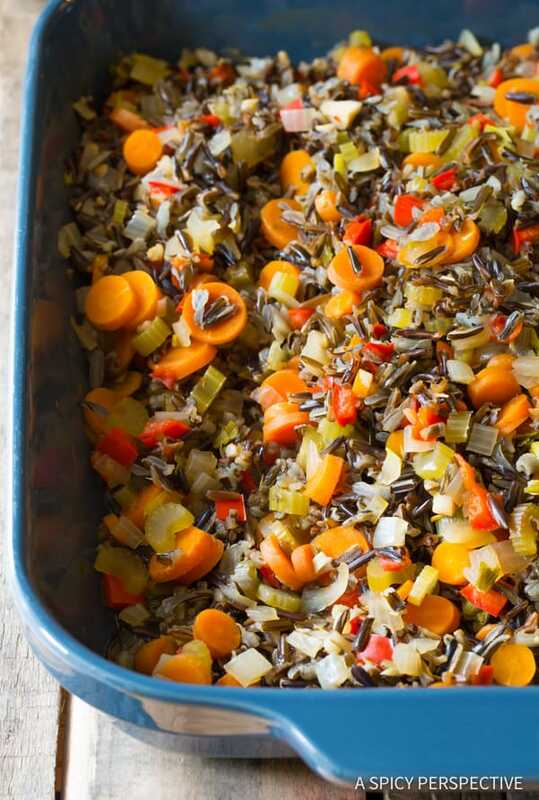 That makes this casserole a great option for feeding the neighborhood. 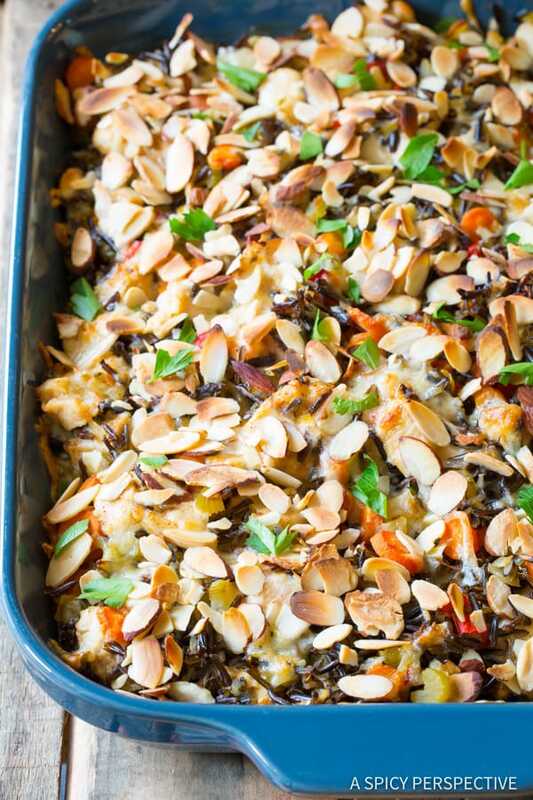 I’m a big fan of this Cheesy Chicken Wild Rice Casserole, I can say without reservation. I think you will be too! 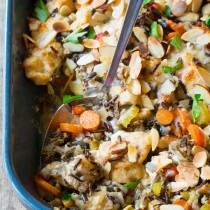 Cheesy Chicken Wild Rice Casserole – a simple wild rice bake loaded with vegetables, chicken morsels, and cheesy goodness. 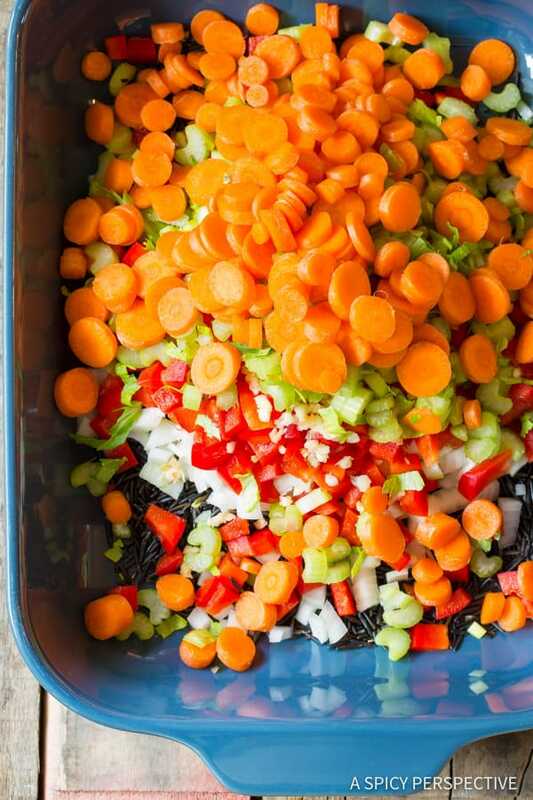 Preheat the oven to 400 degrees F. Place the wild rice, carrots, onion, bell pepper, celery, garlic, and 1 teaspoon cajun seasoning in a 9 X 13 inch baking dish. Pour 4 cups chicken broth in the baking dish and stir. Cover tightly with foil and bake for 80 minutes. Meanwhile, cut the chicken breast into small bite-sized pieces. (Less than 1 inch cubes.) Sprinkle the remaining 2 teaspoons cajun seasoning over the chicken and toss to coat. Shred the pepper jack, and cut the cream cheese into small cubes. 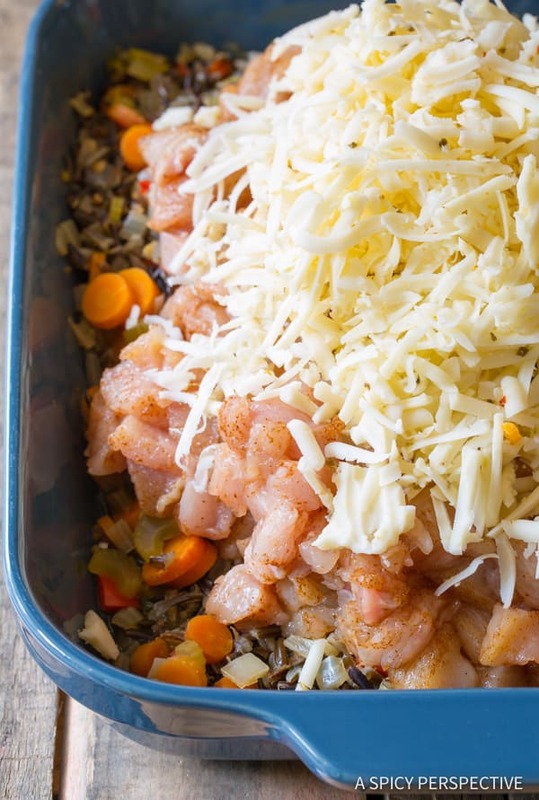 Once the rice comes out of the oven, take the foil off and toss the chicken, shredded cheese, and cream cheese cubes into the baking dish. There will still be a little broth at the bottom of the baking dish. Toss well, so the cream cheese can turn the broth into a creamy sauce. Sprinkle the sliced almonds over the top and place the casserole back into the oven for 20-25 minutes, until the almonds are toasted and the chicken pieces are cooked through. 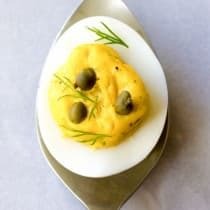 Garnish with chopped parsley and serve warm. 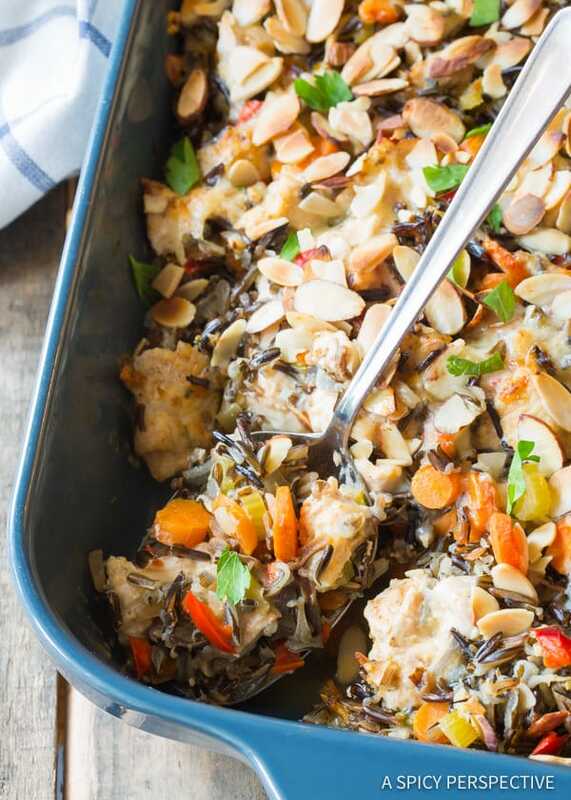 Chicken and Wild Rice Casserole is a staple in my house and I’m always looking for ways to slightly change it up so we don’t get bored with it. 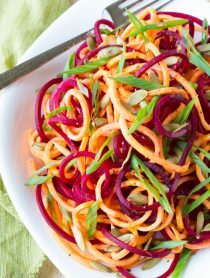 I love your idea of adding sliced almonds on top! 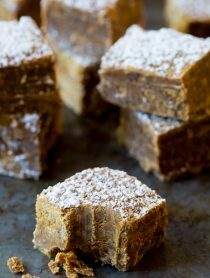 Brilliant and healthy way to add some crunch!! Thanks for sharing, Sommer! What a great idea, and it sounds so simple! I love this! 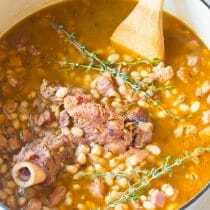 Any one-pot wonder and I’m in! Definitely going to try this but without the cheese. I do like warm cheese although I adore cheese with bread and crackers.